Hey, Lovelies! 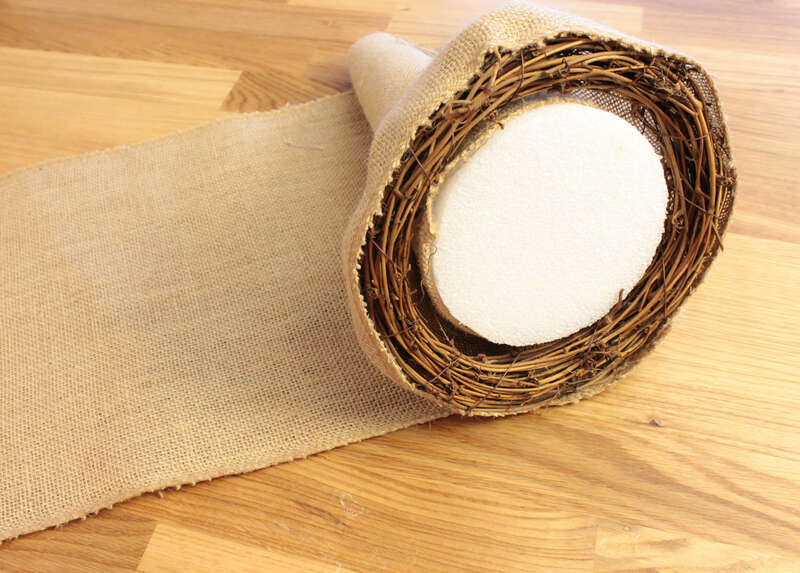 Emily here from B. Lovely Events and I are thrilled to bring you this step by step project for this lovely fall burlap cornucopia. 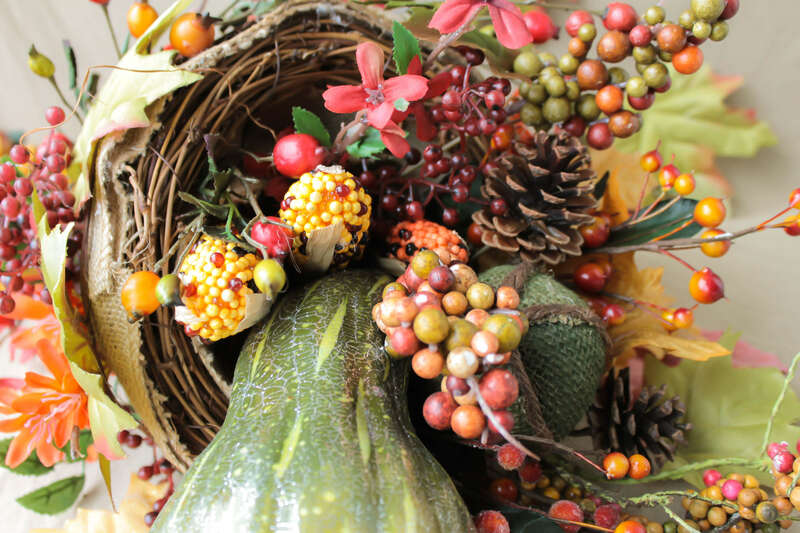 The abundance of fall flowers, leaves, berries and harvest veggies represents everything that I love about fall and Thanksgiving. 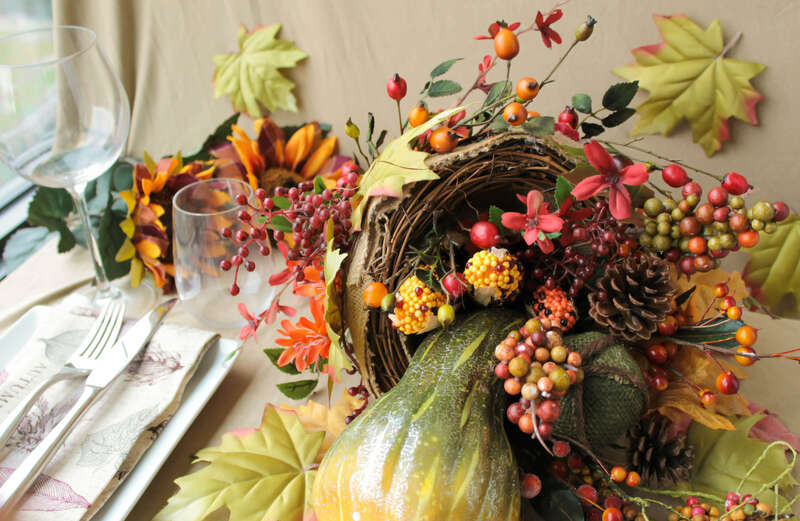 With Thanksgiving being right around the corner, this DIY project is perfect to showcase all things fall and have the perfect for your Thanksgiving tables this year. The best part about this project is you can put it together in 8 easy steps. I’ll show you how! All of these amazing supplies from Jo-Ann Fabric and Craft Stores make up all the things you need for a beautiful Burlap cornucopia. Here are the step by step instructions to show you how. 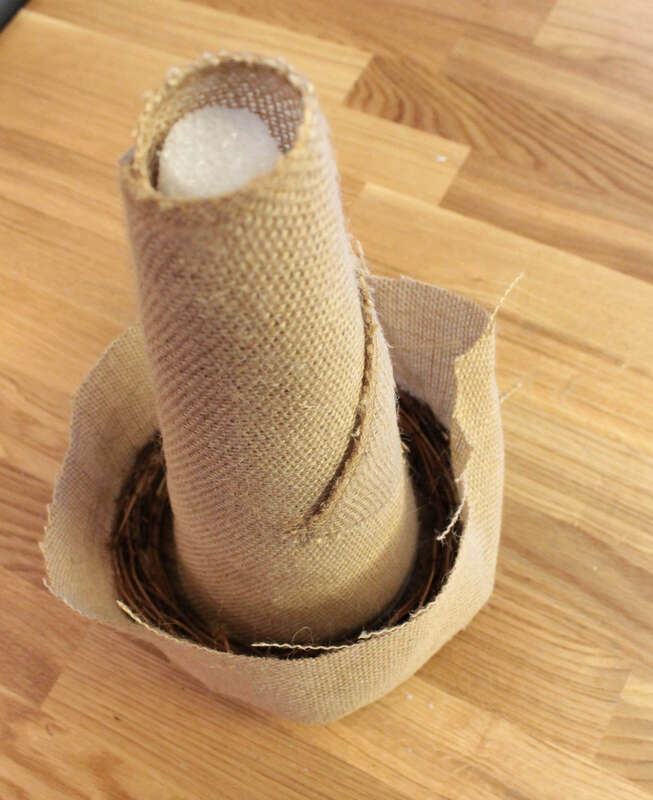 Lay out your burlap and cover the foam cone entirely with it. It helps to roll the cone in a diagonal direction to get it fully covered. Then cut and glue the edge down. Do not glue the burlap to the cone. 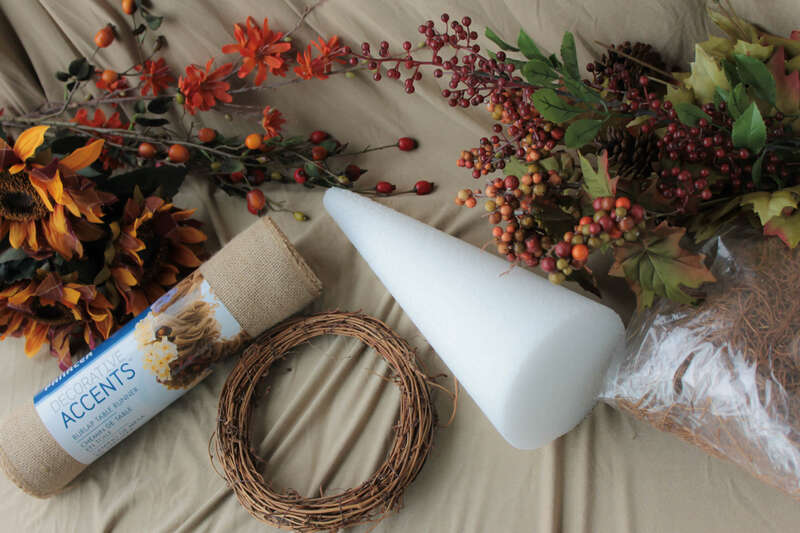 The cone will slide out of the cornucopia to create a cubby for floral filler. Leave the cone in for now. 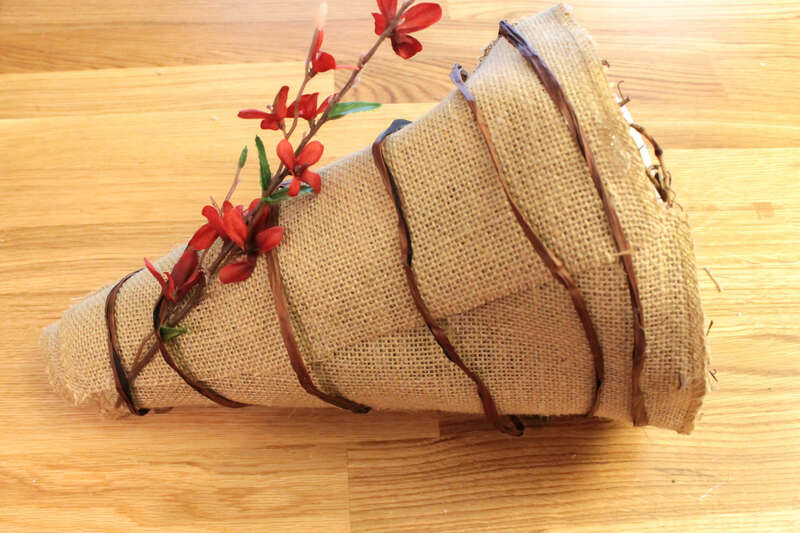 The cone burlap makes up the body of your cornucopia. 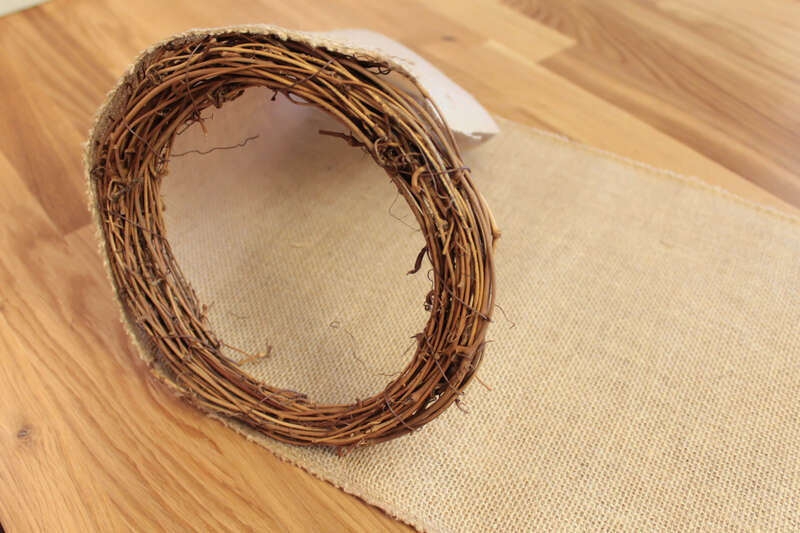 Take the grape vine and hot glue the burlap around the edge of it. Cut the excess off to leave just about 3 inches or so around the grape vine. This makes up the front of the burlap cornucopia. 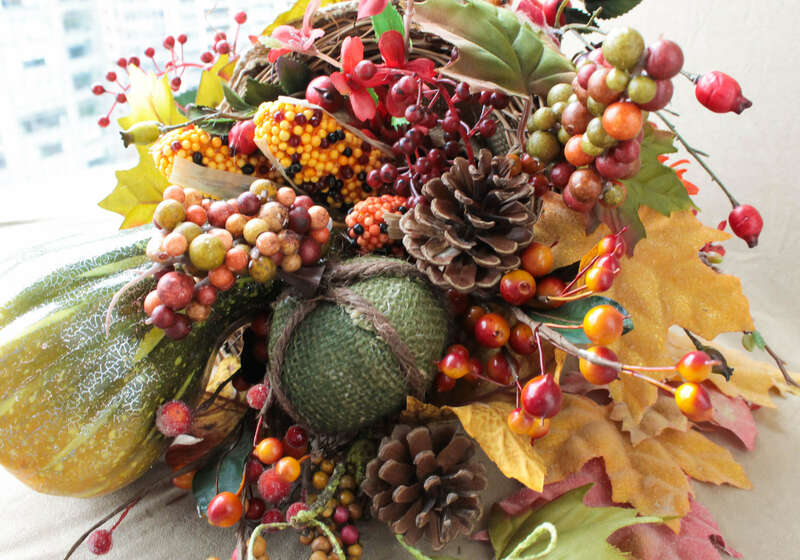 Take the cone of burlap and place it inside of the grapevine wreath. 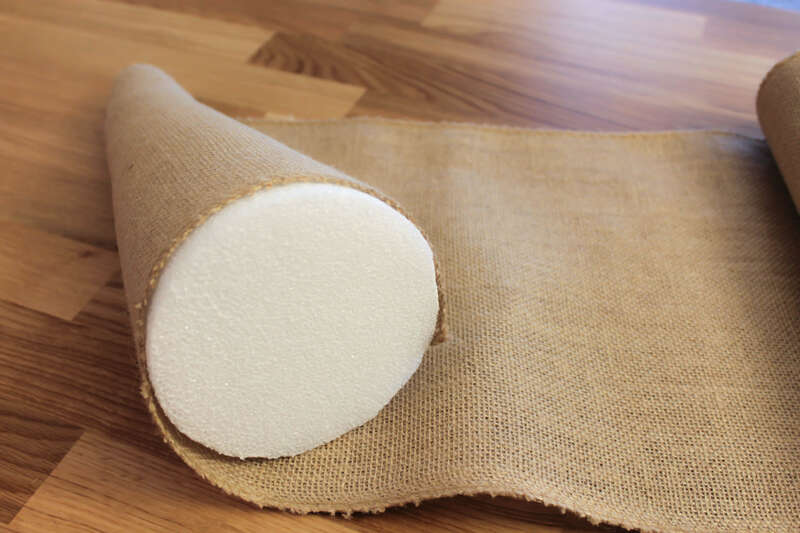 Then secure the 3inch pieces to the cone burlap with hot glue. Diagonal pieces here help and you may need 3-4 diagonal pieces to fully add to the body of the cornucopia. 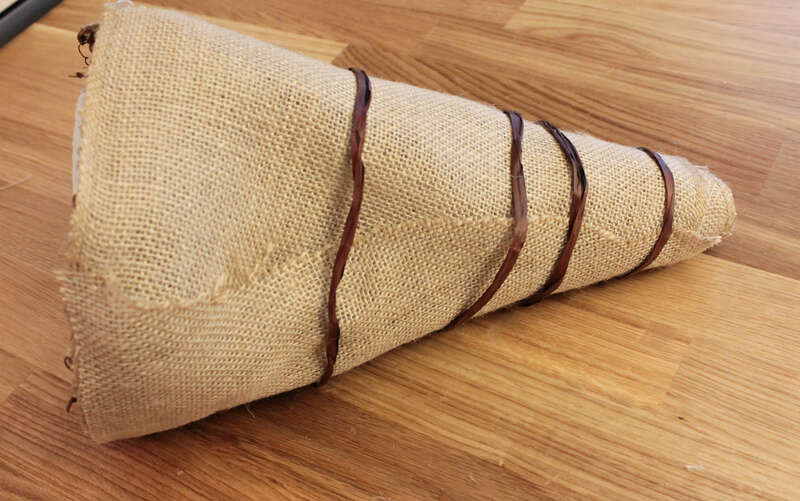 If you cut the burlap vertically, then it leaves too much body to the burlap and it doesn’t look flush like a typical cornucopia would. Diagonal pieces, I found, are the best. You now have the shape and body of a cornucopia with burlap. 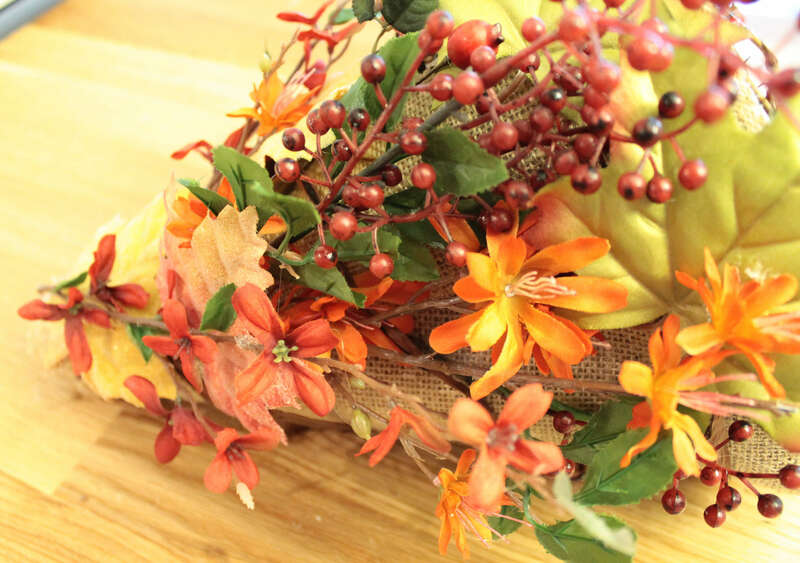 Add some dimension and detail to the cornucopia with some raffia. I really like the dark raffia against the light burlap but feel free to use any color raffia you prefer. 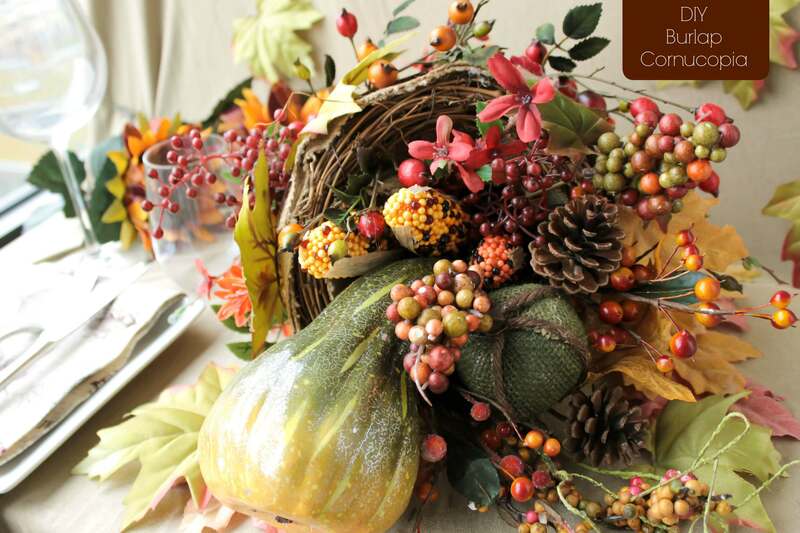 Secure the piece toward the bottom of the cornucopia with glue and spiral it around to the top. Now for the fun part, decorating it! 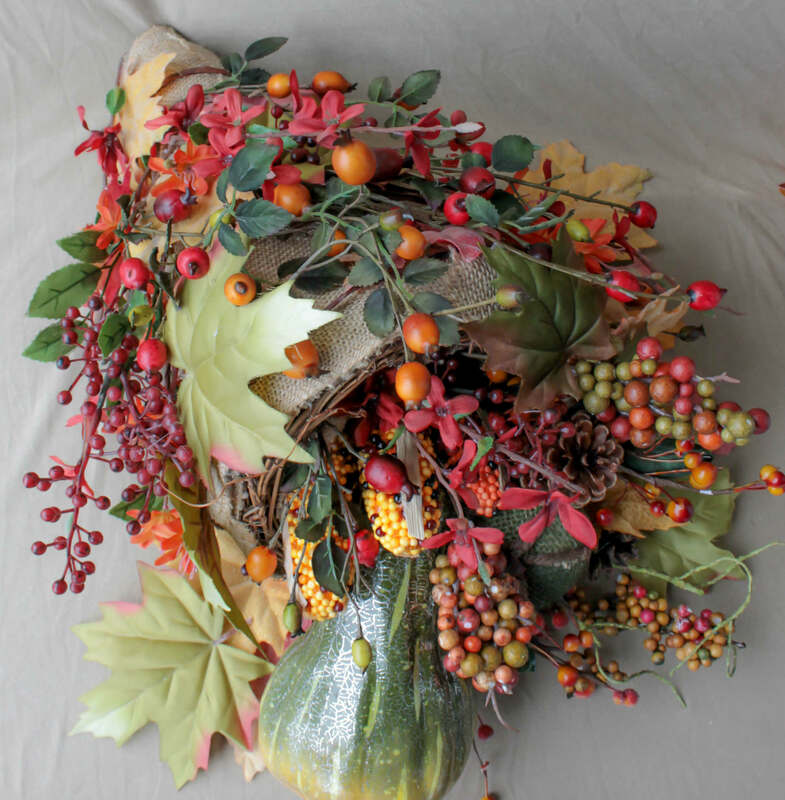 I used all different types of orange, red and yellow fall flowers, leaves, and berries to decorate the outside of my cornucopia. Take long stocks of fall flowers and cut segments off of them with wire scissors to get the perfect length of and berries that you need. 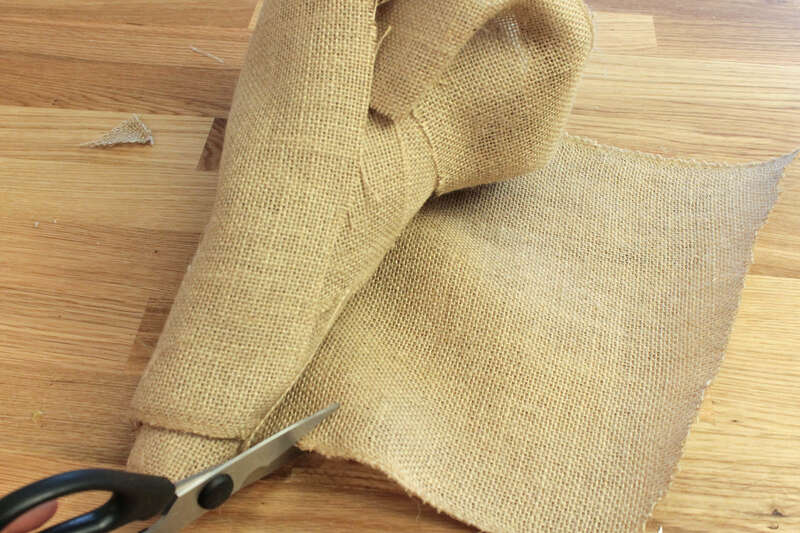 Glue them down with hot glue all around the outside of the burlap. Be creative here. There is no right or wrong design, just go with your gut and what you think looks nice on the outside. Once you get multiple layers of stems, leaves, and berries, it turns out like this. 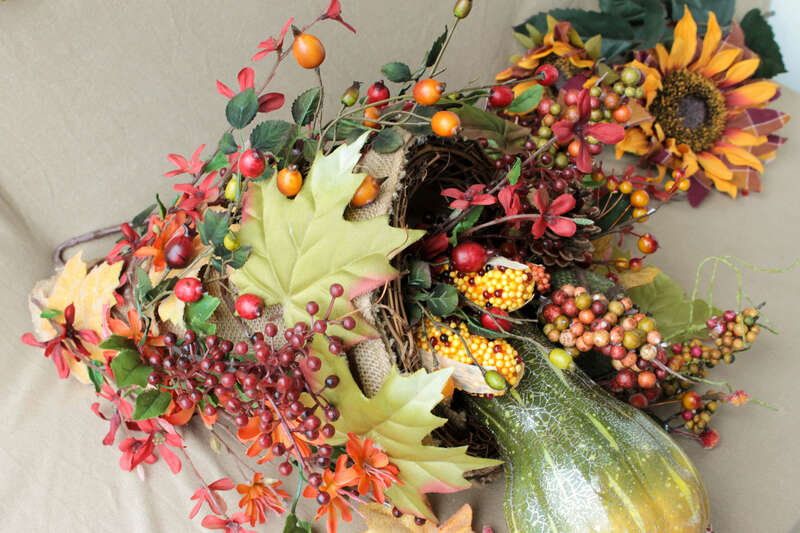 Time to make your cornucopia overflow with fall. Add in any fall flowers, harvest veggies and berries that you like. Jo-Ann has a great selection in their floral department but using live pieces can be fun too! Put it all together and your burlap cornucopia turns out something like this. Lovely right?! I can’t get over all of the beautiful reds, oranges, and yellows that it has in all different textures and details. Can’t wait to put this on my Thanksgiving table this year! For more Thanksgiving inspiration, hop on over to my Thanksgiving posts to really make your holiday special this year.